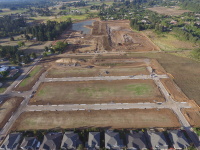 ​​Construction of a 57 lot subdivision with a sewer pump station. 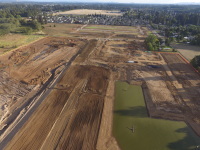 Sitework included moving 100,000 CY in the creation of two large stormwater pond facilities totaling 6 acres. Dewatering was required for utility installation.